For ither uises, see Perth (disambiguation). 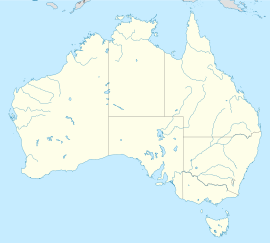 Perth (/pɜːrθ/) is the caipital an lairgest ceety o the Australie state o Wastren Australie. It is the fowert maist muckle ceety in Australie, wi an estimatit population o 1.74 million livin in the Perth metropolitan aurie. ↑ 1.0 1.1 1.2 "3218.0 - Regional Population Growth, Australia, 2010-11". Australian Bureau of Statistics. 30 Jun 2011. ↑ "Greater Perth: Basic Community Profile" (xls). 2011 Census Community Profiles. Australian Bureau of Statistics. 28 March 2013. Retrieved 9 April 2014. Wikimedia Commons haes media relatit tae Perth, Western Australia.